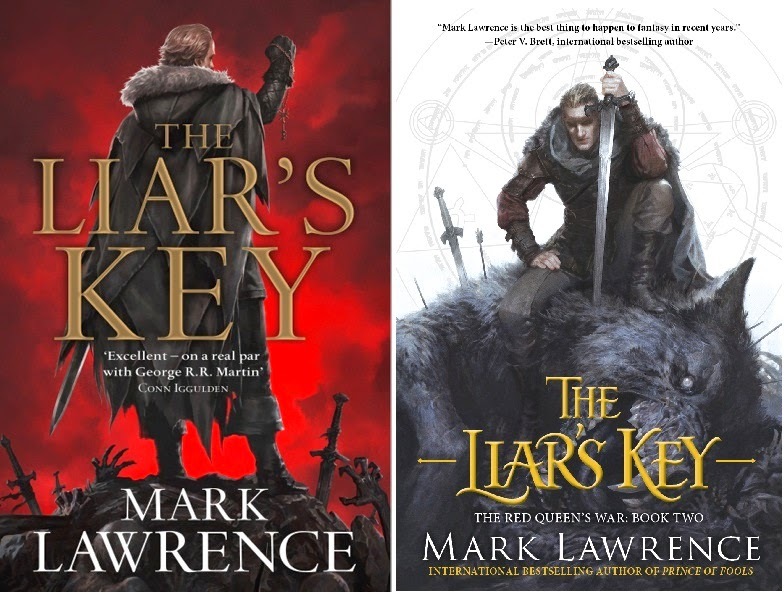 The Liar’s Key by Mark Lawrence, with covers by Jason Chan. UK on the left, US on the right. Okay so here’s the thing. It’s no secret I’m a fan of Mark Lawrence. I read his first book, Prince of Thorns, and I was hooked. I’ve reviewed every book as he’s released them – beforehand, in one case, since I managed to get hold of an ARC. I pre-ordered The Liar’s Key in September last year. Mr Lawrence has got a great voice to his prose, one that keeps me reading – this time round til 1:30am two nights running – and fantastically fun protagonists. There was never any doubt in my mind that once again he’d pull it off and I’d of course review his book and say it’s great. Which it is. And therein lies the problem. There’s only so many ways you can say “this author’s great”. But I’ll see what I can manage. Author engagement is important for an indie author because it humanises you to your potential audience and encourages them to be interested in you and emotionally invested in your success. If readers feel that you are their friend, they will be more willing to support you and your work. But recently I’ve come across a few authors who just don’t seem to get it. They posted links to their blogs without getting stuck into conversations, or they tweeted nothing but promotional information about their books. From a reader’s point of view, this is off-putting. Nobody likes a spammer. What we want to see in our twitter feeds and on the forums we frequent is interesting information, helpful advice, people talking with passion about something they enjoy.